Mike Krissoff has grown up on the waters of Anne Arundel County, starting with his own 12′ wooden rowboat at the age of 7 in Shady Side, now a custom-built 46′ Chesapeake Bay deadrise berthed in Annapolis. Along the way were Lasers, Hobie Cats, a variety of one-design racing sailboats and log canoes, and countless days of race committee work with the Eastport & Annapolis Yacht Clubs. Recently named South River Federation’s Volunteer of the Year, Cap’n Mike, a 50 Ton US Coast Guard Master, a past commodore and 35-year member of EYC and 20-year member of AYC, has hosted hundreds of days on the water for volunteer and non-profit organizations for fundraising and appreciation activities, his bike-riding and fishing friends, even a wedding. 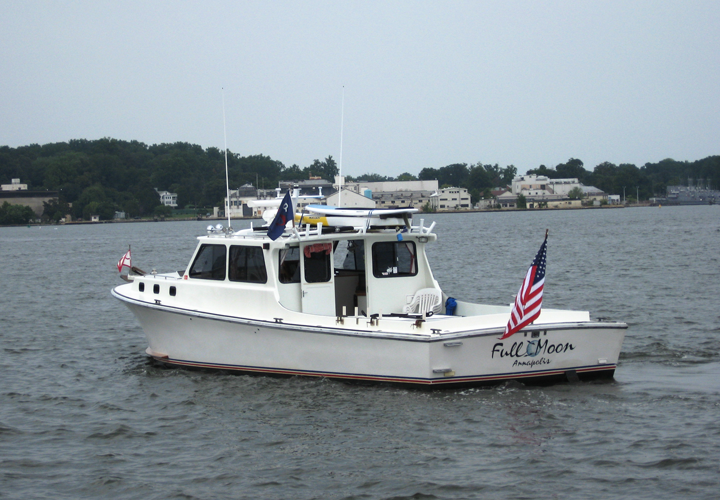 Now retired from a 40-year career in non-profit association management, Cap’n Mike is ready to invite you to sit back and let him share his knowledge of the bay’s history & traditions, it’s charm & beauty, wildlife and special settings best known only to the locals, while you enjoy the ride. Unique Boutique Bachelorette or Girls’ Weekend Party Package with Cap’n Mike’s Full Moon Adventures for Six – Stay, Play, Enjoy the Bay! 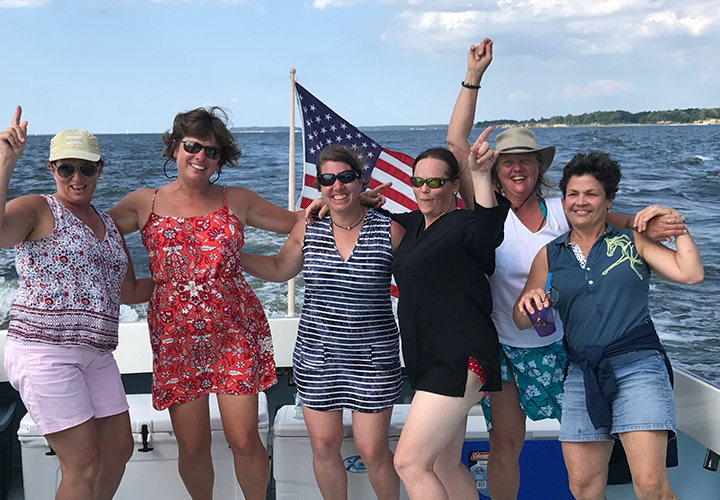 For six special ladies, arrive mid-afternoon at Cap’n Mike’s lovely home set on a very private 1.5 acres, relax for a bit with your favorite refreshments, then get ready for a night on the town in downtown Annapolis, just three miles away. Cap’n Mike is happy to work out an affordable arrangement to provide pleasant accommodations for the night before and/or after your Full Moon adventure.